Clariant and its products are at the forefront of efforts to reduce a certain class of harmful emissions in China. When Li Tao got a call from a prospective customer back in October of 2016, he quickly realized that this wasn’t going to be just a regular inquiry. 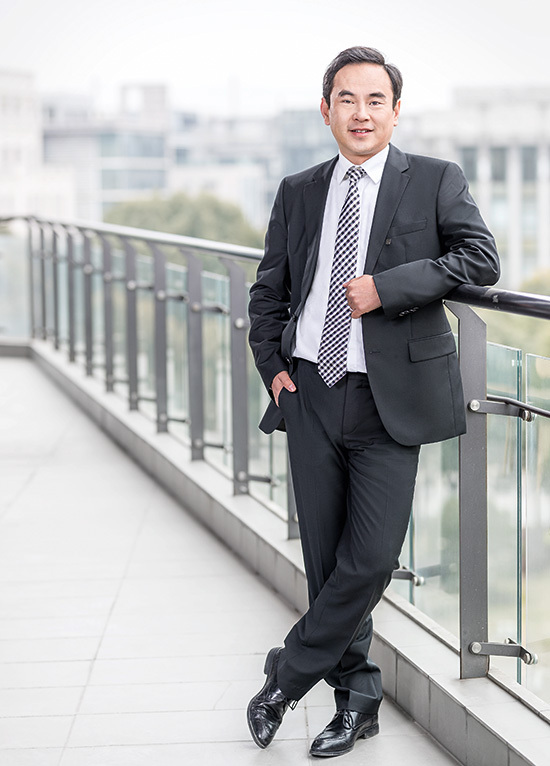 Li is the general manager of Sheng Da Powder Coating, a company based in Tianjin, China’s fourth-largest city. »The boss of a new bike manufacturer called me. He wanted to meet to discuss the production of a new color-matched powder coating«, Li remembers. »I knew it was urgent because he drove overnight from Zhenjiang to Tianjin just to meet me.« That’s 1 000 kilometers, or a ten-hour drive, up the coast. The customer was looking for a new brilliant orange-shade coating that had to be weather-resistant, heat-stable and free of heavy metals. »The biggest problem for me was that he needed the product delivered the following week«, Li says. Clariant’s catalysts reach VOC conversion rates as high as 99.9 percent, well exceeding current requirements and regulations worldwide. Li is not alone. Clariant and its products are at the forefront of a growing trend in China towards both higher quality and sustainability. Its Pigments Business Unit for example helps a whole range of manufacturers and their supplying industries to meet ever-stricter governmental regulations. One of the main concerns are emissions of volatile organic compounds or VOCs. These are among the most common air pollutants, with solvents being a major source. »VOCs have come under intense scrutiny by environmental authorities«, says Margaret Soong. 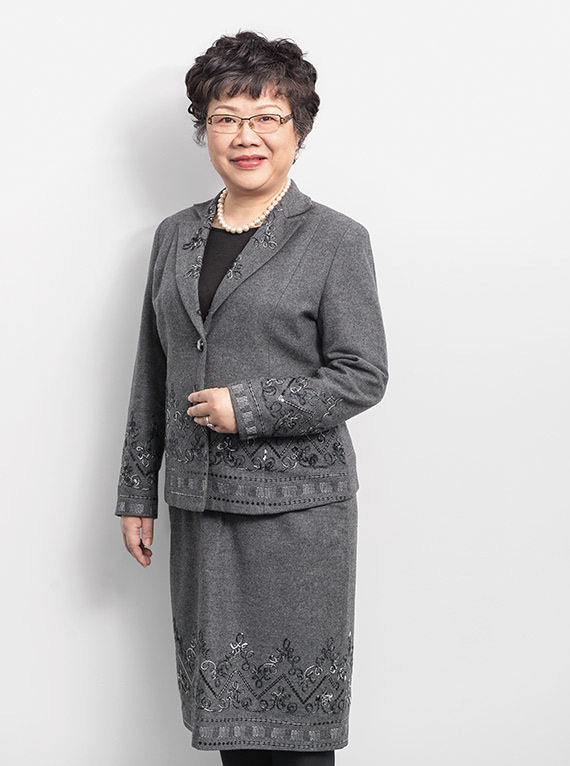 She is Clariant’s Head of Sustainability & Regulatory Affairs in Greater China. »China has several of the world’s most polluted cities within its borders and the effects are becoming a major public health threat«, Soong explains. »Studies show that asthma cases in China have risen dramatically over the past couple of decades, coinciding with ever-deteriorating air quality.« The risks associated with industrial VOCs are compounded by the fact that these substances are often harmful at very low concentrations and the health problems they can cause can be cumulative and slow to develop. A number of VOCs are known carcinogens. »Chinese authorities are responding with a significant amount of new legislation to control VOC emissions«, says Soong. Whole industries are thus scrambling to meet the new standards and deadlines. Some industries can substitute raw materials or the products used in manufacturing. Clariant provides such solutions for coatings, for example. 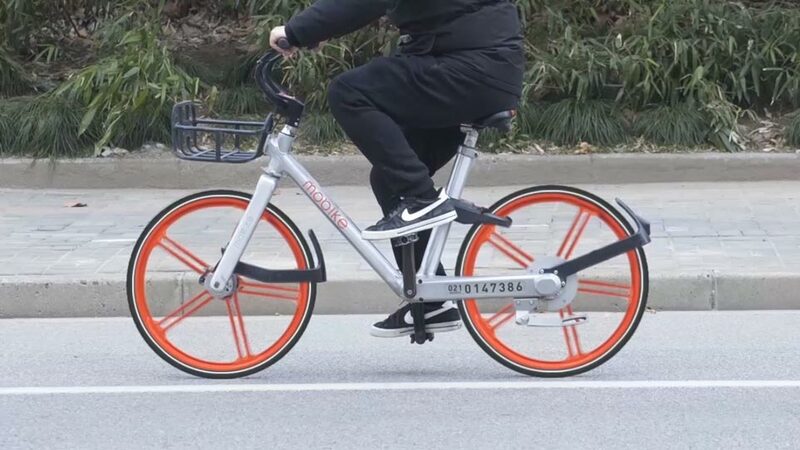 They include mostly VOC-free powder coatings as in the case of Mobike’s orange tint. There are also Clariant products tailored to water-based coatings that significantly reduce VOC. Another solution to the VOC problem involves capturing and reusing evaporated solvents. That makes a lot of sense, since it not only minimizes environmental and health risks but also reduces costs by reclaiming a useful product. However, not all processes can be altered to avoid or reclaim VOCs. Another option therefore is to destroy VOCs in exhausts with the help of so-called recuperative thermal oxidizers, or RTOs. These basically burn off VOCs at high temperatures. This method, however, produces secondary pollutants. Clariant’s Catalysts Business Unit has a much better trick up its sleeve. »Our catalytic oxidation systems, called EnviCat® VOC, directly combust VOCs at significantly lower temperatures, making for a much safer and less expensive process«, says Mike Shao. He heads Sales for Emission Control in China. »Our catalysts not only reduce energy requirements and secondary pollutants. They also reach conversion rates as high as 99.9 percent, well exceeding current environmental regulations worldwide.« On top of that, the EnviCat® VOC system takes up a lot less space, which can be especially important when retrofitting existing production equipment. As a result, Clariant’s EnviCat® VOC catalyst solution has been implemented in a number of large plants especially in regions such as Beijing, Shanghai and Guangzhou. 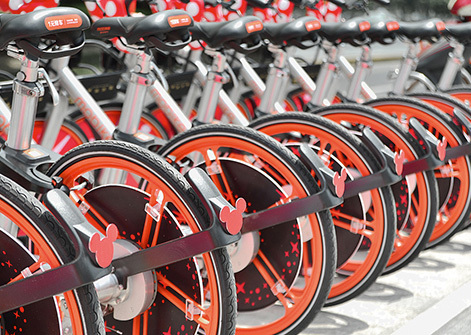 Mobike, a bike-share service, operates about 5 million bikes in China and around the word. What’s evident is that Clariant’s persistent focus on high-quality solutions and sustainability is welcomed by manufacturers set to thrive in China’s changing business environment. Like Li Tao’s powder coating company. »Clariant first visited me in 2015«, he remembers. »But at the time I didn’t purchase anything because, frankly, I thought the products were too expensive.« Clariant’s sales reps persisted, always presenting Li with new products and new opportunities that could help upgrade his color portfolio and the quality of his coatings. Mobike’s challenging order and Li’s decision to turn to Clariant then became a turning point for him and his company. »At first, I was just one of many suppliers of coatings to Mobike, but my consistently good-quality coatings got me noticed«, he says. As a result, Mobike made Li’s powder coating the standard shade on their third generation of bikes and he’s been successful in his latest bids to get even more business. 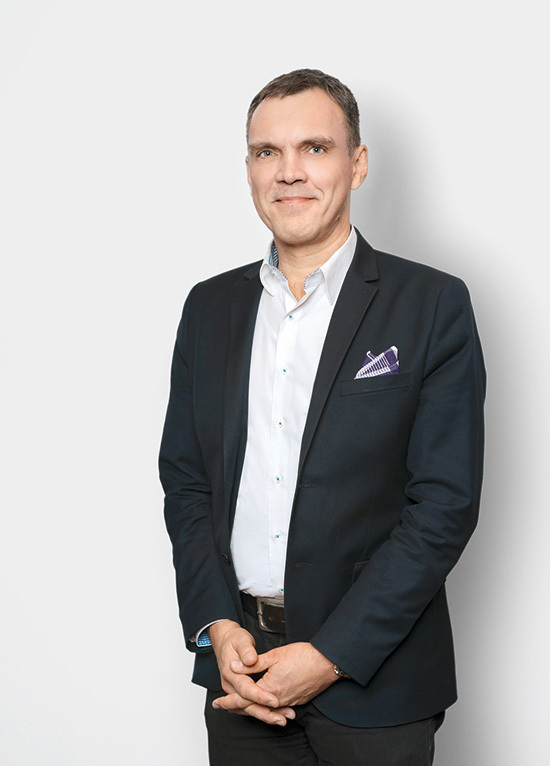 »Now I am the major supplier to Mobike with over 50% of the powder coating volume.« With Clariant’s help he’s helping to bring color as well as sustainability to millions of commuters.